One thing I know about myself is that I love to start new projects. It is like opening a door to a sunny spring day. Anything is possible. Another thing I know about myself is I’m not necessarily a strong finisher. In fact I like the idea of always beginning. This is part of the reason over the past two years I’ve being focusing my practice on working with people to help them share their personal stories with the greater community. Stories, whether being created or told are new each time. The experience is fresh with meaning in each iteration. Combine this with my passion for geeking out on media technology and you have the framework for a ne w collaboration – Generation to Generation. 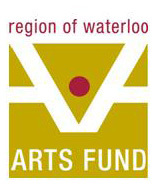 With funding from the Region of Waterloo Arts Fund, I will be working with theatre artists Nada Homsi, Pam Patel and Heather Majaury and generations of people who have fled conditions in their homeland to live here in Waterloo Region. We will also be working with a number of community partners including: African Community Wellness Initiative, Mennonite Coalition for Refugee Support, Reception House of Waterloo Region and the YMCA Immigrant Services. Through storytelling, video and theatre we will explore the passing of family narratives from generation to generation. Over the coming months I will be tweeting my own generation-to-generation stories under the hashtag #Gen2Gen. I invite you to join this stream to share your family stories. It’s from this book review.